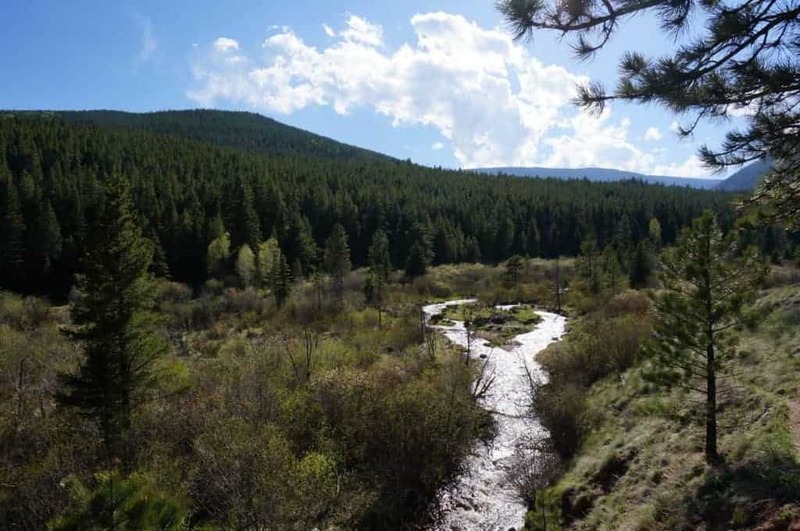 There are two trailheads that can be used to access Craig Meadows: the Payne Creek/Brookside Trailhead just off Park County Road 64, or the Colorado Trail #1776 Trailhead located off of Wellington Lake Road (Forest Road 543). The Payne Creek Trailhead yields the more difficult hike, with a one-way distance of just over seven miles and an elevation gain of nearly 2,000′. This is a strenuous hike-expect it to take you 4-6 hours of trekking before you reach Craig Meadows. Alternatively, you can reach Craig Meadows by way of the Colorado Trail. This route checks in at four miles one-way with an elevation gain of approximately 800′. This route is not only shorter in mileage than the Payne Creek/Brookside route, but is a significantly less strenuous hike. Plan on it taking you anywhere from 2-4 hours to reach your campsite. To reach the Payne Creek/Brookside Trailhead, take Highway 285 from Denver to the town of Bailey, about and hour’s drive. Once you reach Bailey, make a left turn onto Park County Road 64 (just past the Conoco gas station as you’re leaving town). Continue on Park County Road 64 for approximately 2 miles before reaching the Payne Creek/Brookside Trailhead. You can also use this Google Maps link to get specific driving directions. To reach the Colorado Trail #1776 Trailhead, take Highway 285 from Denver to Bailey. As you come down the hill into Bailey you’ll take a left on Park County Road 68. Continue on Park County Road 68, taking a right at the fork (towards Wellington Lake) for approximately 8 miles before arriving at the trailhead. You can also use this Google Maps link to get specific driving directions. Upon leaving the trailhead, you’ll hike along the Brookside-McCurdy Trail #607 for approximately 1.3 miles. The trail here is fairly mellow and allows you to find your stride and get used to having a loaded pack on your back. After the first segment, you’ll reach a T-junction. Here you’ll take the left (southeast) fork onto Payne Creek Trail #637. Rest easy as this will be the only trail junction until you reach Craig Meadows! Continuing on the Payne Creek trail, you’ll eventually cross Payne Creek itself before beginning a very steep ascent, gaining nearly 1,500′ of elevation in just a few miles. Take it slow and steady and eventually you’ll reach the top of the ridge where Aspen trees open up to give you spectacular views down the valley. From this point you’ll continue downhill into the valley before reaching Craig Creek. Here you can relax and take a breath – you’ve reached Craig Meadows! 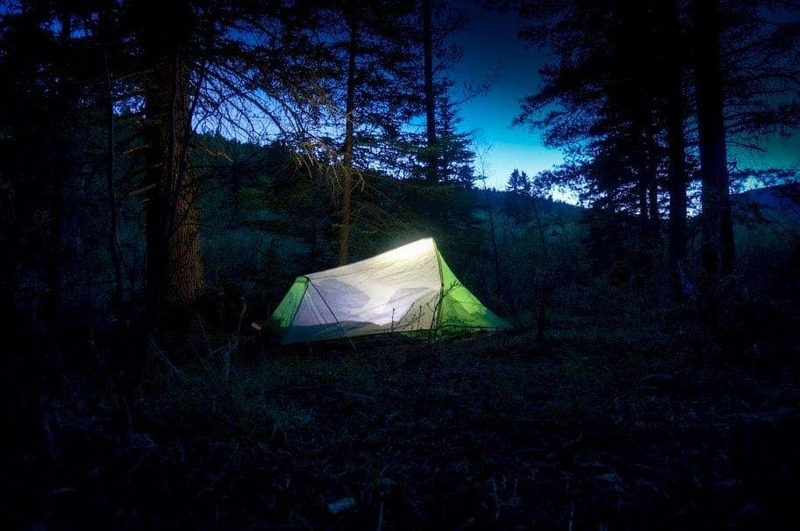 There are a variety of camping spots along the creek and you can pick your favorite. The map below shows the route and you can use this link to open it in a new window. As always, this map isn’t intended to be used in the backcountry – only to provide you with a general overview of the hike. Be sure you’re carrying a copy of National Geographic Trails Illustrated #105 and that you know how to use it! For this hike, you’ll start out heading west on the Colorado Trail, gaining elevation as you go. This is the beginning of the fourth segment of the Colorado Trail, a nearly 500-mile trek from Denver to Durango, and you’ll surely encounter some through-hikers. You’ll continue to ascend until reaching the high point of the trail, at around 9,300′ of elevation. Approximately 3 miles into the hike, near the high point, you’ll reach a junction with Payne Creek Trail #637. Take the right fork here (to the northwest) onto the Payne Creek Trail, which will lead you down into Craig Meadows. The trail here is a fairly gentle descent and presents a nice break from the steady uphill you’ve experienced up to this point. From the junction, it’s just over a mile on the Payne Creek Trail until you reach Craig Meadows. 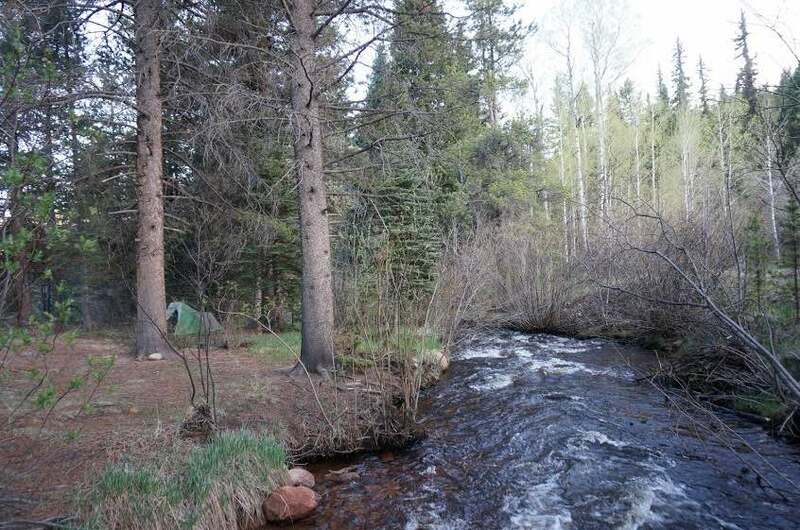 You’ll see a number of camp sites along the creek – choose one that looks good! One of the many prime camping spots in Craig Meadows. The map below shows the route and you can use this link to open it in a new window. As always, this map isn’t intended to be used in the backcountry – only to provide you with a general overview of the hike. You’ll want to be sure you’re carrying a copy of National Geographic Trails Illustrated #105 and that you know how to use it!